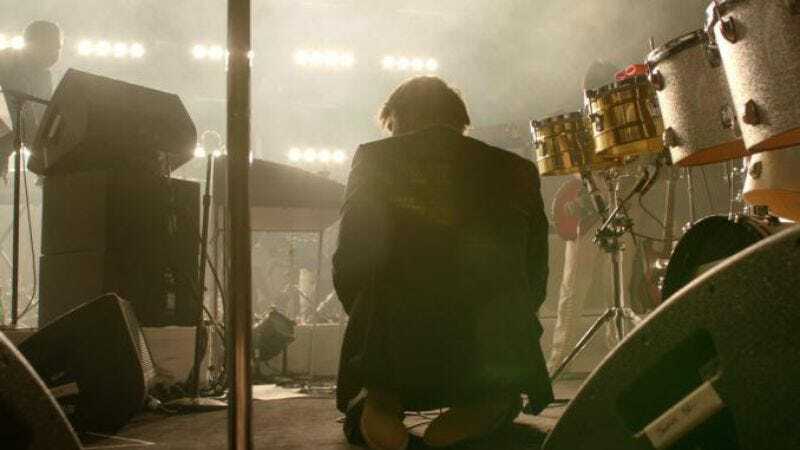 To understand how sarcastic and morose the former frontman of LCD Soundsystem can be, all it really takes is a quick scan of the track lists on the group’s three albums. There’s “Tribulations” and “Never As Tired As When I’m Waking Up” on the eponymous LCD Soundsystem, “North American Scum” and “New York, I Love You But You’re Bringing Me Down” on Sound Of Silver, and of course the catchy, dance-inducing, yet very sad “I Can Change” on This Is Happening. So when James Murphy announces he’s opening a wine bar in Brooklyn, it should come as no surprise that the name he chose for it—the Four Horsemen—captures the cheerful notion of the apocalypse and its harbingers of doom. As The New York Times reports, Murphy’s bar is set to open in early June, and will feature up to 350 wine selections as well as snacks and larger dishes thought up by a veteran chef of nearby Brooklyn restaurant Franny’s. Murphy and his wife, Christina Topsoe, will co-own the bar, and the general manager will be Katrina Birchmeier, an Australian natural wine advocate. The Four Horsemen will shack up in 295 Grand Street in Williamsburg, have seating for 40, and take reservations so that instead of showing up soon after opening and waiting three hours to get in, interested parties can probably extend that wait until some time in 2016. Of course, as Murphy is a noted connoisseur of sound as well—let’s not forget this is a man who makes songs out of tennis matches and has a plan to make New York’s subway system more musical—the Four Horsemen has had its acoustics tweaked much like a recording studio, with soundproofed walls and ceilings so people won’t have to strain their ears to hear every other table make the same “Daft Punk Is Playing At My Wine Bar” joke that they are.